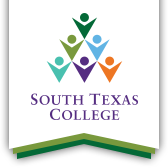 South Texas College has an option for students who are pressed for time or looking to balance family, work, and school. STC Minimesters are available for students who need to wrap up their courses quickly. These are courses that range in length from five to 14 weeks, and offer the same quality instruction and same credit but in a shorter time span. Courses are available in traditional classroom or face-to-face and online settings. Minimesters begin on Jan. 22, which is the start of the spring semester. Students can register up until the first day of class. For more information about minimesters for spring 2019 please visit https://www.southtexascollege.edu/academics/minimesters. Students can also register via the college’s mobile app “JagMobile” available on iOS and Android enabled devices. Students can use the app to sign up for mobile alerts, pay for school bills, check bus routes and grades, along with a host of other options. Registration is available 24/7 via Jagnet and at www.southtexascollege.edu/register/. For more information about fall registration, call South Texas College at 956-872-8311.